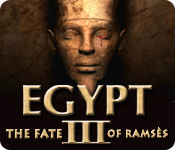 Egypt III: The Fate of Ramses is rated 3.5 out of 5 by 11. Rated 5 out of 5 by redblake3 from Highly recommended Well done...challenging...visually pleasing and engaging. Rated 5 out of 5 by coha92 from WOW!!!! Is my #1 Game I LOVE IT!!!! What a incredible "movie-game". I was immersed in the game-play scene by scene. It's a totally different game of the hundreds that I've played so far. It keep me awake until I finished. The puzzles were different and a little bit challenge but I have to look for the walk-through just at the very last puzzle, because I had to go to bed. The visual and sound were beautiful through the whole game. I even saw the "making" because I wanted to know a little bit of how it was made. When is the next one coming? Rated 5 out of 5 by Sergeij from A Collosus of Beauty and Difficult Mysteries. This game is a collosus of beautiful graphics combined with puzzles, mazes and intricacies as difficult as those in the other large format games I have played. I found this game more difficult than the Nancy Drew disappointment, "Shadow at the Water's Edge," which featured so many puzzles that had nothihng to do with the storyline, and wasted so much time. I know that some of the reviewers of this game made the claim that the puzzles (does that count finding items to get to the next scene?) are not especially difficult. That's just not the case. The ENTIRE GAME is a puzzle, constantly throwing new challenges at you at every turn. So either those reviewers are geniuses or they used a walkthrough. 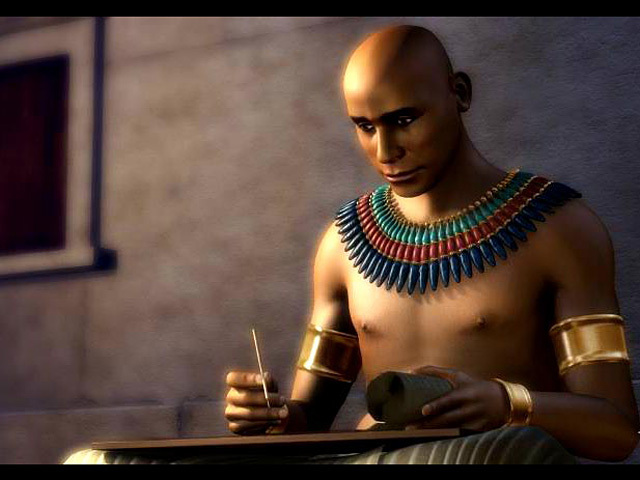 This was one of the very best of the large format games and I look forward to EGYPT IV -- an EGYPT IV that uses ONLY a linear format, as the non-linear format is so clumsy to use. A final word about this incredible game: The gorgeous graphics are, indeed, the epitome of prismatic ornamentation, especially when the heroine deals with the various gods. Rated 5 out of 5 by cherilynn_60 from Awesome Game!! I found this game absolutely delightful! The puzzles were not so hard they couldn't be solved, the graphics are beautiful, and there are so many hints that just keep you going.... It is rather easy to figure out what to do and/or where to go next. I enjoyed it all the way to the end. I highly recommend this game! Rated 5 out of 5 by stewie9 from Loved It!!! I personally loved this game. The graphics are great, no glitches, interesting. Each level was solvable within itself. (everything you need to finish that level is on that level). There is not alot to each level, but do not get me wrong, you have to really think. Same for the many fun puzzles, they are more a common sense, patience type puzzles. I will say once again I loved the game. Remember to think, look around, and do not forget to look up sometimes. Enjoy the game. I do not give a five often. 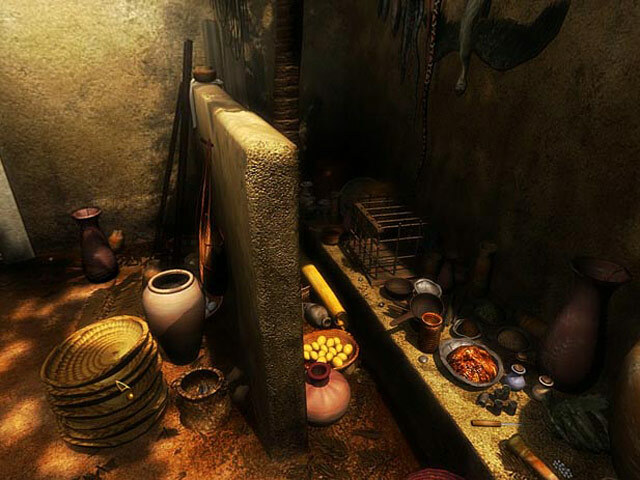 Rated 5 out of 5 by marg6043 from Beautiful game This game is truly beautiful, the graphics are fantastic, the story is very interesting and I love ancient history, is very challenging and not your typical game to play as like any long file games are, it can be a littler bit frustrating at times. But I did enjoyed playing this game. Rated 4 out of 5 by seekinggames from Take your time and explore Every location had a different type of challenge, but the answers were always in the same location as the puzzle. There were some very fustrating tasks that needed to be accomplished while being timed. A few were "Duh!" type of tasks. A couple of the challenges/puzzels required you to think "outside the proverbial box". Some of the solutions to the challenges/puzzels were so obvious I couldn't believe I spent the amount of time trying to solve it! I found the important part of the this game is taking the time to stop and look around. I passed by clues and/or areas of play many times. Taking your time gives you a chance to appreciate the graphics and details of the different locations. Historical storyline is wonderful! This game is pretty much enjoyable and I did not regret the purchase. Rated 2 out of 5 by Skkyeviolet from Don't buy this! Impossible to get anywhere without a map and none is provided. Best guess for the next challenge because there is no guide book either. Rated 1 out of 5 by jellyann from This should come with a warning. The 360 degree movement is awful and I had a horrible headache after wandering around aimlessly for 10 minutes. No tutorial, no map, no explanation or advice as to what you're doing or how to do it. Don't bother. Rated 1 out of 5 by dsolomon001 from Too hard to Move around! I ended up getting a refund for this game since there is no trial version. BUYER BEWARE! You have to move through this game manually. It is confusing. It has the kind of layout like the old game "Myst" if anyone ever played that. I hate when you have to click-and-point to navigate your location. 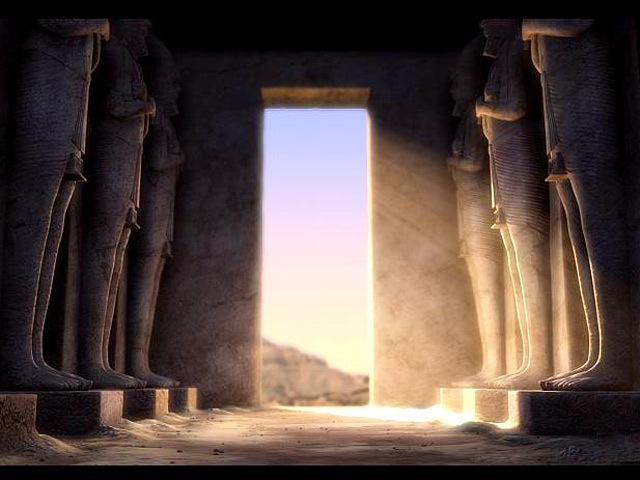 Search out the root of an ancient curse that threatens to claim the Pharaoh`s life and reduce his fertile domain to dust!